I started my first baby item for my little Sophia due this November. I think it’s perfect that the name of this pattern is Sophie! 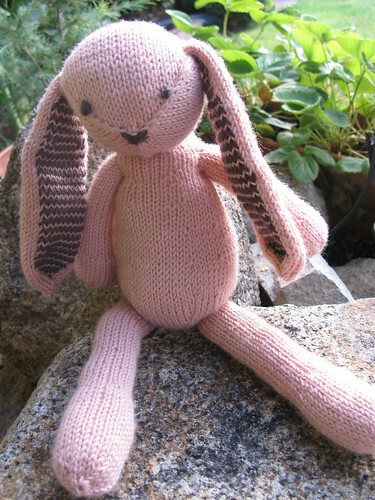 It is the cutest little bunny pattern by Ysolda Teague. It’s knitting up very quickly which is always nice. I’m really enjoying working with Debbie Bliss Cashmerino so far. And the color is gorgeous. I’m not a huge fan of pink, but this is a really lovely and subtle, dusty pink. I’m using bamboo DPNs which I don’t normally like because they are too grippy, but they are actually helping me keep my tension now that I’ve switched to continental knitting. The pattern has a nice picture of what the finish product will, hopefully, turn out to be. On another note, my son’s new zebra backpack showed up in the mail today. It is the cutest little backpack from http://www.skiphop.com/ and reasonably priced too! His first day of preschool is quickly approaching, yikes! First and foremost, sorry for my lack of posting lately. It directly correlates to a lack of knitting, unfortunately. But, it’s all for a good cause – you see… I’m pregnant! Yep, I’m working on creating baby #2 and let me tell you, those first three months have been all consuming. I have had no energy or drive to do much besides sleep and eat. I just started my second trimester and I’m starting to have some good days where I feel “normal”! 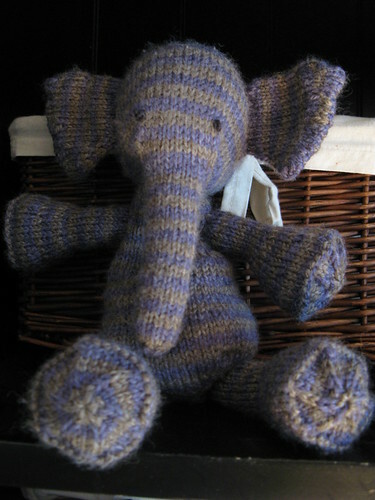 I finished my Elijah elephant designed my my favorite designer, Ysolda Teague! This is the first project that I’ve finished in 3 months! 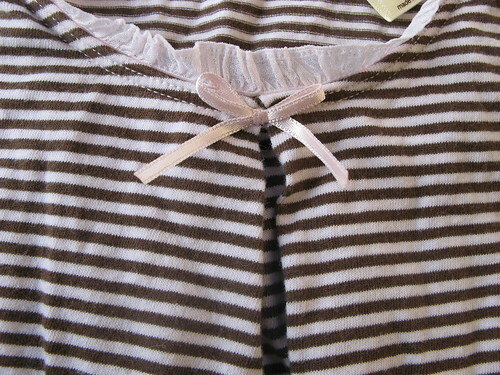 I’m putting a pirate spin on it though, maybe you can tell by the stripes. I’m working on an eye patch and a little tattered vest in black as well. The stripes were a little hard to work with but I really like the effect. This toy is for my 3 year old, so while I love the pattern as written, I felt like it needed a little more edge to it for my toddler going on 6 year old son. I gave it to him already, he seemed to like it… at first. Is it a bad sign if he tries to give it away to each person he runs into… including the dog?? 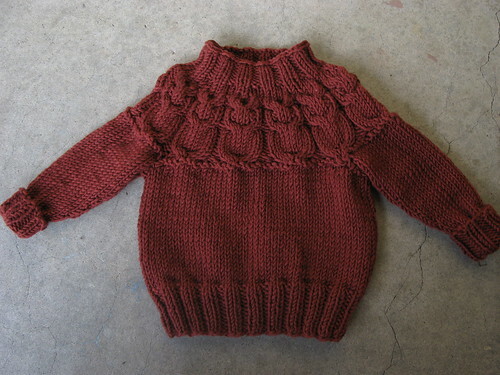 I used shepherd’s wool with size 4 needles – this proved to be very difficult. Ysolda says to use smaller needles than the yarn calls for so that the stuffing doesn’t peek through, but this was a little overkill. It made it very hard to pick up stitches for the appendages and overall just added to the difficulty level and my happiness – or unhappiness – level with the project. What’s next? 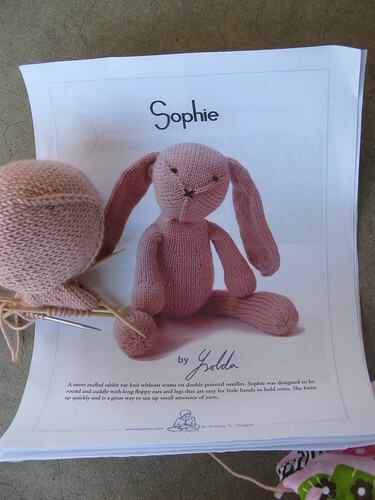 I’m making a mother bear project bear right now and I bought Ysolda’s Sophie pattern too (a very sweet little bunny). With all these toys it’s apparent that my little family addition project is influencing my knitting projects 🙂 I can’t wait to find out if I’m going to have a boy or girl next month! !